KEEP THIS SERIES RUNNING BY MAKING A ﻿SMALL﻿ DONATION! Your support helps pay for transcription, subtitling and video editing. Some students have been reporting issues with these donation buttons. If you do, please let the Support Team know. You can also try this other option. This is a single contribution. It is much appreciated. You'll be sponsoring part of an Italian Accelerator lesson, up to a full lesson with the $100 contribution. Every bit helps. Grazie mille! This is a recurring monthly contribution. Contribution ends after 12 months, but you can cancel at any time, of course! It is much appreciated. 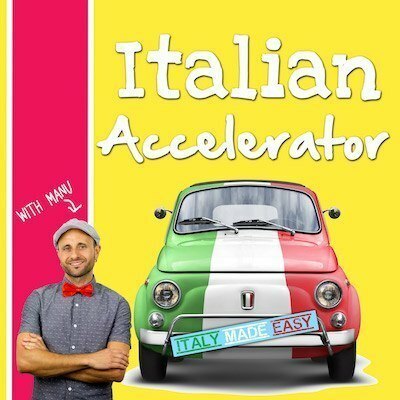 Every year you'll be sponsoring part of an Italian Accelerator lesson, a full lesson, one and half lessons, and two and half lessons, respectively. Every bit helps. Grazie mille!